Here is one picture from our trip. We met another couple there and went on a snorkeling excursion with them. 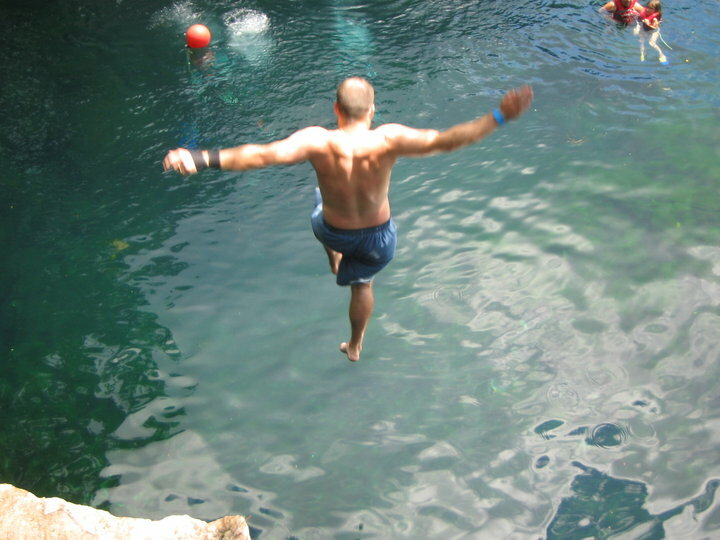 At one of the stops we jumped off a 12 foot cliff. They took the picture. Here is proof. I promise I’ll post all the pics this weekend. Very cool!! Can’t wait to see the rest of the pictures.